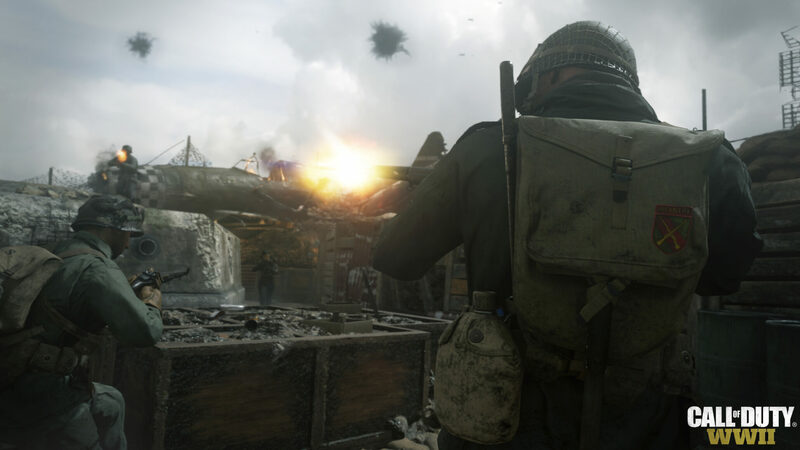 Call of Duty WWII, the new entry in the series currently in development by Sledgehammer Games, is soon going to enter its beta testing phase on PlayStation 4, and the team recently revealed more details on one of the features players will be able to try out next month. With a post on the Official PlayStation Blog, Sledgehammer Games Multiplayer Systems Designer MacKenzie Bates revealed all the details on the Call of Duty WWII Divisions, the game’s approach to the series’ create a class system. The five Divisions will come with different traits that will make created characters more effective in specific situations. This Division specializes in laying down a withering offense to buy their team breathing room. Their bipod-equipped light machinegun shreds lightly armored targets, while their armor protects them from enemy explosives, tactical equipment and flamethrowers. When extra punch is required, the Anti-Tank Grenade sticky bomb is the ideal choice. This maneuverable Division is usually the first to the fight, parachuting into the thick of the action. Armed with suppressed submachineguns, these frontline fighters excel at taking and holding enemy positions until more heavily armored reinforcements arrive. Armed with a hearty supply of explosives and tactical equipment, the fighters specialize in sabotage, infiltration, and close-quarters combat. Their special Division Skill loads devastating incendiary shells into their shotguns to set fires and terrorize their opponents. Expeditionary III: Select a piece of Tactical and Lethal Equipment. Throw equipment faster, farther & while sprinting. Resupply equipment from killed enemies. Call of Duty WWII launches this year on PC, PlayStation 4 and Xbox One.